No, I didn’t make any new transactions today, but I think now is a good time to post an update on my mining portfolio for readers. 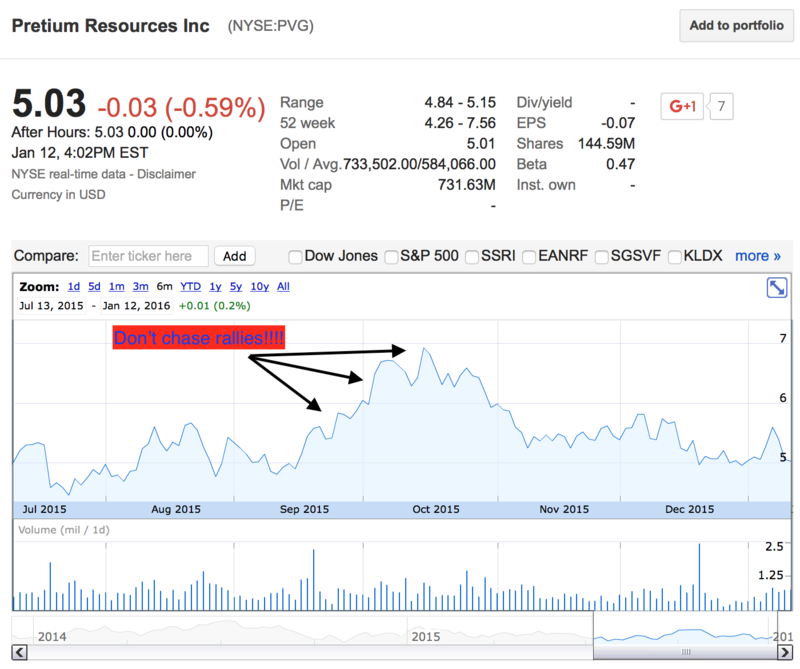 The reality of the mining sector is this — These stocks are extremely volatile! Here is where things stand now, at the conclusion of today’s trading session. Now, I’m down 14.08% and the price of a brand new, luxury German automobile! Yellow = Really Bad (20%+ drop)! This is something I learned in October… And it’s now registering loud and clear in my mind what happens when you chase rallies upward! 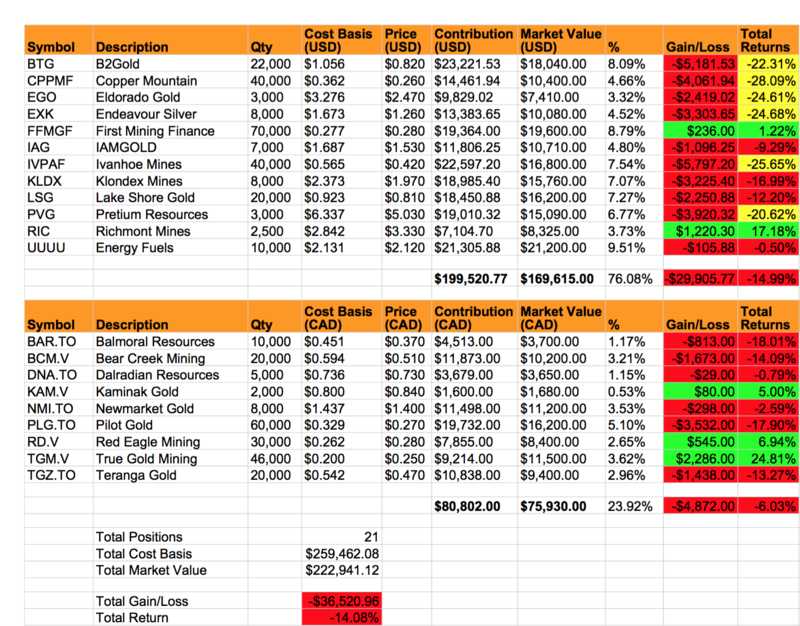 Check out some of my more dismal performers — Pretium Resources (PVG), Lake Shore Gold (LSG), Klondex Mines (KLDX), etc. Again, NEVER CHASE UP! That’s a recipe for ABSOLUTE DISASTER! But what if I sell out too soon and a new bull market takes flight? In any case, if I load up BIG during the drops, then trimming off some positions shouldn’t be a problem, right? Otherwise, I’ll be too tempted to hold onto EVERYTHING on these mini-rallies… Only to end up doing NOTHING and watching the “gains” vaporize faster than they first appeared. Now, I’m back in the RED again! So, lesson learned… I shoulda booked some profits (at the very least sell SOMETHING!). Not only would I have made a pretty penny (realized gains), but I would have also freed up a ton more capital that I could have used to aggressively dollar cost average (DCA) on this most recent downturn (win, win). For instance, I’ve been meaning to liquidate out of Eldorado Gold (EGO) due to concerns related to Greece (the company issued a news release yesterday, announcing plans to suspend activities in Greece due to issues obtaining permits/licenses to advance certain projects). I really should just stick primarily with the “tried and true” best-of-the-best mid-tier producers. If I’m going to gamble on the more speculative stuff, the shares really need to be trading at a substantial discount to “fair value” for me to load up aggressively. Please Note: I will NEVER recommend anything to anyone reading this blog. I don’t provide investment advice, so please do your own due diligence! Mining stocks are extremely volatile and risky; Invest/speculate at your own risk! I’m still a work in progress and learning as I go. Hopefully, I’ll start making some better decisions in the future. I admire you for sticking to your guns and providing this update. How much more do you plan to buy if things get worse? From $233-$250k to a $550k portfolio?All in current positions? Is the $300k cash sitting in a money market account? I’m thinking of mobilizing my cash in venture debt or p2p to take advantage of rising rates. I have found as an investor that my upside takes care of itself, but that my job is to manage downside and risk. So if a company I like ends up cutting dividends, I am out one second later – I know this means I was wrong. If a company like Altria keeps raising dividends, I will hold on to it even if it triples or quadruples from my purchase price. So at what stage would you determine that this strategy is not working for you? Because at the end of the day, your goal is not to be a hero, but to reach your financial goals without sacrificing the nest egg that you traded your health for in the past 8 years. I feel very confident that this strategy will work out for me. It never seems obvious without the benefit of hindsight, but gold miners are so beaten up right now, they can’t help but overshoot to the upside when things finally turn around. There’s no way I can be convinced that commodities will stay depressed forever and ever. The world is not coming to an end and all these China fears are overblown… China is slowing down, but it’s still growing and the base from where it is growing from now well exceeds where things were a decade ago. The world runs off of commodities, but the fear is overwhelming right now so most won’t touch this space. I’ve got the conviction to ride this trade out. $300k all in… Not $300k more. So, $50k more from where I’m currently at. That’s my limit, but I probably won’t contribute that much. Actually, I’m probably good with where I’m at now. I’ve got enough in this trade, lol. Volatility of gold/silver stocks is something that amazes me. How can a stock to increase 15% for a couple of days and in the next 2-3 days to plunge to the same old level. Moreover, these things happen on less than 1% movement of gold prices. That is insane. It comes just to show us that these stocks are really, really risky but on the other hand offer high returns if the prices of the underlying asset spikes in future. With that said, I think you said it very clearly – “I’m slowly realizing it is very possible to make a ton of money in the short-term, while I wait for the long-term thesis to play out…”. We might wait several more years the big shot to arrive but meanwhile the market offers opportunities every 2-3 months. I don’t know how much longer this will continue and playing with the volatility may lead to miss the initial stage of a long-term ascending trend but the opportunities to realize some short-term gain is here. As a conclusion I would like to thank you for sharing your experience good or bad with the audience. It definitely helps me to learn some valuable lessons for the gold/silver stocks and be a bit more prepared when I feel ready to touch these stocks. And I do not mean only these portfolio updates but also the whole process how a person with zero knowledge in the field of geology can start to understand the underlying business of these companies. Thanks! I’m glad you are finding these updates useful. Yeah, gold miners are insane… you really can’t just buy and hold them… Well, I guess you could and just wait for the upturn, but the day-to-day volatility is so crazy, I’m guessing it might just be a better strategy to trade in and out of certain positions to book short-term profits. Similarly, a stock like B2Gold (BTG) likes to peak around $1.20 and drop to about $1.00 (this time even lower down to about $0.80!). Why not book some profits every now and then? Hope everything gonna be okay before the month ends. Is this the time to invest for gold? or…..
At these levels, no thanks. 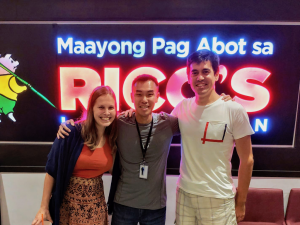 Eric has done an incredible job with his rentals and reached early FI awhile ago, even though he still chooses to continue to work (although for not much longer). S&P 500 and the other major indexes will all do exceptionally well over the long run (8% or so CAGR, according to most stats out there)…. We’ve all been so spoiled these last few years! You might have been a bit too harsh on your self. I do know that UUUU stock was up a pretty penny a few weeks ago. I am in this stock as well got in around $1.88 at the low point. I could have booked some profits and sold out but don’t want to get too carried away with the day to day. Not to mention Captial Gains vs Long Term Capital Gains if you are still a working stiff. I keep an eye on it but don’t sweat the day to day as you are correct this sector is beat to hell. Maybe that could have been your catch line for this post considering the picture. 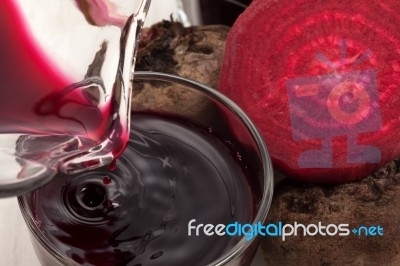 “beet to hell” I like that! Great point on tax consequences… It is much preferable to pay long-term capital gains. Sometimes, you just gotta go with gut instinct… I didn’t and left a lot of money on the table. It’s been getting pretty nasty lately. Way to go on sticking with your guns and stay course. Thanks! Not always easy to do, but that’s why we’ve got to do our homework and form a thesis that we believe in. I really want to buy into this strategy, but I just can’t. Got it that junior miners are down 80-90%, and the HUI / gold ratio is at an all time low. And it seems mean reversion should bring solid returns. But if we look at gold, it still seems well above its long term average real, inflation adjusted price. It’s easy to look at a chart of GDXJ and think that the only way is up, but much harder to do so when we look at a chart of gold (nominal or real) over the last few years. What is your view on the price of gold vs historic levels and its implications on miners? PS I’m much more convinced by oil, but have no idea how to efficiently play my long view. ETFs and derivatives have an insane negative roll yield, and equities seem pretty low beta vs the actual oil price. The best way seems to be physical, but at 30 bucks a barrel that’s a lot of oil to store to make any sort of a return! I don’t know enough to say who is right and who is wrong, so I just go with intuition… And that’s telling me that these precious metals are selling at bargain basement prices right now. The fact that Russia and China are buying up all they can get only reaffirms my beliefs in the long-term outlook for these assets. Gold/silver have been money for 5000+ years… I have absolutely no worries about this investment. Yeah I saw this also. It’s by Casey Research though, so obviously super biased. Also, they just arbitrarily choose the 1980 CPI calculation method as ‘fairer’ calculation but offer no explanation as to why. This was literally the only source I could find that suggested that gold was below its long term real average. So, like I mentioned above, I just go with intuition more than anything else… Most stats are bs and you can always fudge them to support your argument. I’m still not convinced that the current levels of gold are not attractive from a historic perspective. I’d love to hear more opinions on this. China is not transparent at all, so no one has a clue what they are up to… we are all just guessing from afar. The Shanghai withdrawals are about the only insights outsiders have to the China market. Anyway, I think there’s enough data to indicate that demand is robust in the East, and that’s about good enough for my investment thesis. I follow the 800 lb gorillas when I invest… same with real estate. “American Eagle silver coin sales jumped on Monday after the U.S. Mint said it set the first weekly allocation of 2016 at 4 million ounces, roughly four times the amount rationed in the last five months of 2015, after a surge in demand. More than half of the week’s allocation sold on Monday, the first day of 2016 sales, the mint said, a sign that demand remains strong as spot silver prices hovered above a 6-1/2-year low of $13.60 per ounce hit in December. The mint said nearly 2.76 million ounces of American Eagle silver bullion coins sold, about half of the 5.53 million ounces that sold in all of January 2015. Lots of demand and record low prices (for the mining shares)? Doesn’t make sense to me, but as a buyer I’m not gonna question these type of gifts from the marketplace. I can absolutely get in board with a long silver thesis. Too bad there aren’t many pure play silver mining stocks, as, like you say, it is mainly a byproduct. As Rick Rule famously says “People expectations are based on their (markets) experience in immediate past” and I am sure many of us have heard him say and try to make sense out of it. Rick is vindicated when we analyze how low market expectation is for commodity in general and PM’s in particular. – In 2011/12/13 timeframe everyone was looking to buy and hold on to, in anticipation of higher commodity price but the strategy that has worked till date is to sell on rally and buy on new lows in anticipation of technical bounce. – Now the overall expectation / preference may be is to sell on rallies and enter again on lows to bring down the acquisition cost. I am not saying what is right or wrong in terms of strategy, but it evolves around the personality of investors in question (which itself is a different topic altogether) and the question in my mind is ” is this an impulsive reaction (comfort feel) to be right every time in-spite of having bought into historic lows of bear market(with 20 to 30% deviation)” . I understand 20 to 30% seems to be a large move from where we are today but will it matter looking at the overall cycle of bear and bull. I feel it’s very important to reflect Rick’s above statement every time there is an urge to buy or sell stocks or the urge to be on the right side of every trade. I will stop here and hope this helps in defining /refining your strategy. I am curious to understand why you have 21 companies in your portfolio and continue to keep looking for new companies? I will agree that almost all the companies are good to great companies in my opinion. I am all for diversification. a)	B2G vs IAMGold. I honestly feel Steve Letwin of IAM GOLD should have been kicked out for the miserable performance. I would consider shifting IAM Gold to B2G. b)	Eldorado : You already said what I wanted to share. So not repeating. c)	Finally Copper Mountain: be cautious with debt load and survival. I liked it at 1.5$ and above but that was in higher copper prices. At low copper prices in short to medium term, small producers will be crucified in my opinion. However, when the turn arrives is anyone’s guess… So, I’m comfortable with trading in and out of positions while we wait for that inevitable day to arrive… My strategy requires more active participation, but it’s just a way to generate some income along the way… By buying more shares at the lows, I should be able to trim some positions during any rallies… If the stocks never pullback again, that’s just fine with me as I’ll be well positioned either way. Thanks for your take on my portfolio. In general, I would like to keep the portfolio around 20 positions… I’m not really actively looking for new positions, and most of the time, I’m just adding more shares to companies I already own. A) I prefer B2Gold myself. Plus IAMGOLD also operates in Burkina Faso, and I have True Gold as well… I don’t need that much Burkina exposure. IAG is a stock I’m actually looking to sell. I wanted to trade this position for quick gains (didn’t happen), and I completely agree that it’s one of my weaker positions. B) Eldorado is another one I’ll look to exit if an opportunity presents itself. C) I got in b/c I noticed a lot of insider buying going on and Jim O’Rourke is running the show… Agreed on the debt load. I am planning on exiting this position as well. I prefer Ivanhoe Mines for copper, and they are years away from production so low copper/platinum/palladium/zinc/etc. won’t impact them in the short-term. I can’t totally argue with your reasoning of “speculating” on the mining sector, but wouldn’t an ETF be less risky? I don’t know anything about the mining sector and wouldn’t want to spend the time researching all the individual companies…so for us newbies that see some logic in your thinking could you recommend an ETF?? Definitely, an ETF would be less risky. I would go with GDX and/or GDXJ as my proxy to play the gold trade more “safely”. The reason for going with individual holdings is to take advantage/exploit any weaknesses when any particular company sells off on bad news, or for no apparent reason (this tends to happen a lot in the gold space). Also, it gives a trader more flexibility when selling, since you can book profits more easily as each individual position moves freely and not as an aggregate. It’s really a question of active vs. passive approach, and risk vs. reward profile.